If a fish fry is on your mind, whisker catfish are waiting to be caught in the cool of early spring. There’s an old tradition in Alabama. This tradition is the gathering up of a mess of whisker catfish for a fish fry in the long, hot days of summer. Catching whisker catfish in is always fun, but anglers who limit their catfishing to just warm weather are missing out on some great sport. Early spring can be a great time to get after the whisker fish. 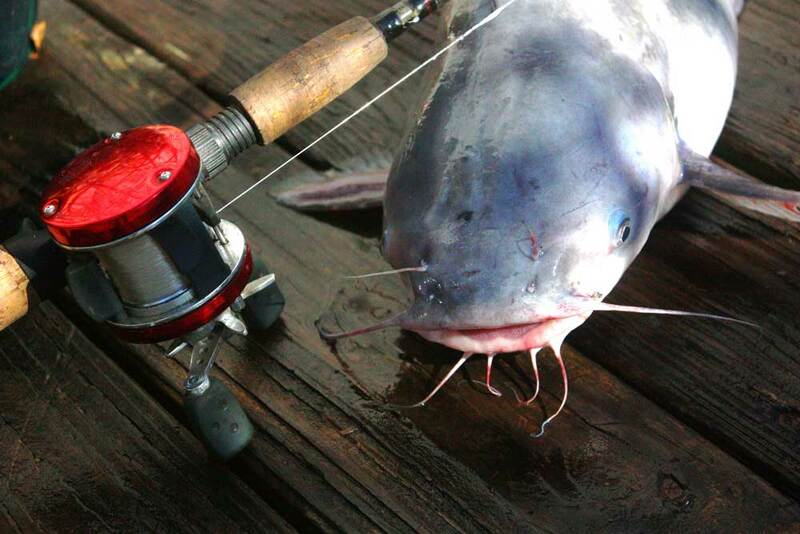 Whether using rod and reel, trotlines, or jugfishing, Alabama catfish in the spring is a wonderful combination. 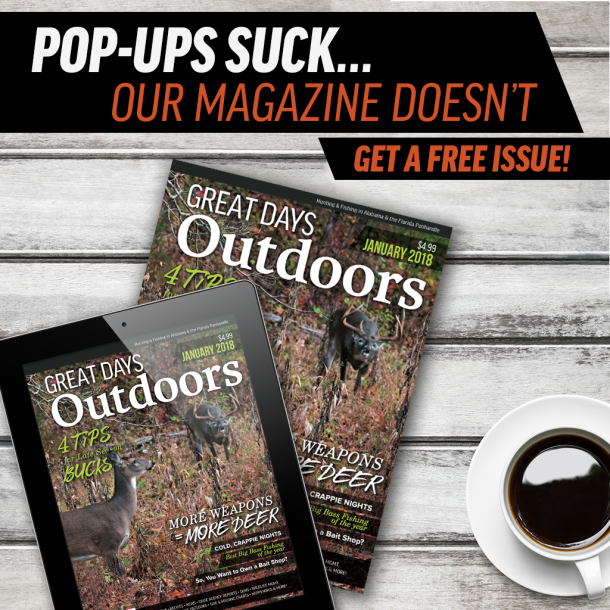 Our buddy Brian Barton knows a good bit about catfishing at all seasons. As a commercial catfish collector in the past, he now guides anglers on catfish trips on the Tennessee River lakes of North Alabama. He shares knowledge gained over a lifetime on the big waters chasing big whisker catfish. Brian adds that whisker catfish will move to the first drop-off on the shorelines and stage here first. Then they will slowly move on up to their spawning grounds as the water warms. Gravel bars, long points, and small cuts on the north side of the lake will be where to start your search for early season cats. If power dams are located in the area, head to the tailrace after a heavy rainfall. Strong currents pull catfish like magnets to the underside of the dams. He tells us, “Best depths on my lakes are 10 to15 feet of water on the upper end of the lake and 15 to 30 feet on the lower end of the lake. Current is always a plus for whisker catfish as long as it’s not too strong to fish the way you want to fish. Best conditions are two to three days of stable weather with south or southwest winds. Conversely, worst conditions are the two days immediately following a cold front passage. “When the wind’s out of the east, fish bite the least, winds out of the west, fish bite the best. This is an old saying that has a lot of validity. It has nothing to do with wind direction per se, but it does indicate barometric pressure readings. With east winds and clear skies, you typically have high pressure. “High pressure puts excess pressure on the fish’s swim bladder, which makes them feel full or uncomfortable. Therefore, they do not feed as readily. South or westerly winds usually indicate a moving barometer or falling pressure which relieves the pressure on the swim bladder and fish feed more readily. Brian adds, “I use Driftmaster 0/30 degree rod holders on my War Eagle 2170 Blackhawk boat. These rod holders allow me to fish multiple rods. At the 30-degree rod position, I can detect strikes much easier than if I just lay a rod flat down on a boat seat or deck. “Plus, with a circle hook the fish hangs itself. So with rod holders I can reel one fish in, take it off and leave another fish on another rod as long as I need to before reeling it in. This adds greatly to the number of fish I catch on each trip. It’s important to fish from a boat that is set up for big fish and big water conditions. The other common spring catfishing rig is a float rig. Barton uses a slip float to suspend bait one to two feet off the bottom but he is still able to cast away from the boat. For the bigger cats, freshly cut skipjack and shad always get the nod. For eating size fish, chicken livers, shrimp, shad guts, and squid all do equally well on most days. If Brian had to pick one, it would be fresh cut shad guts. In spring he can catch trophy fish and plenty of eaters as well. For the big boys, fish a little deeper, slower, and use bigger baits. 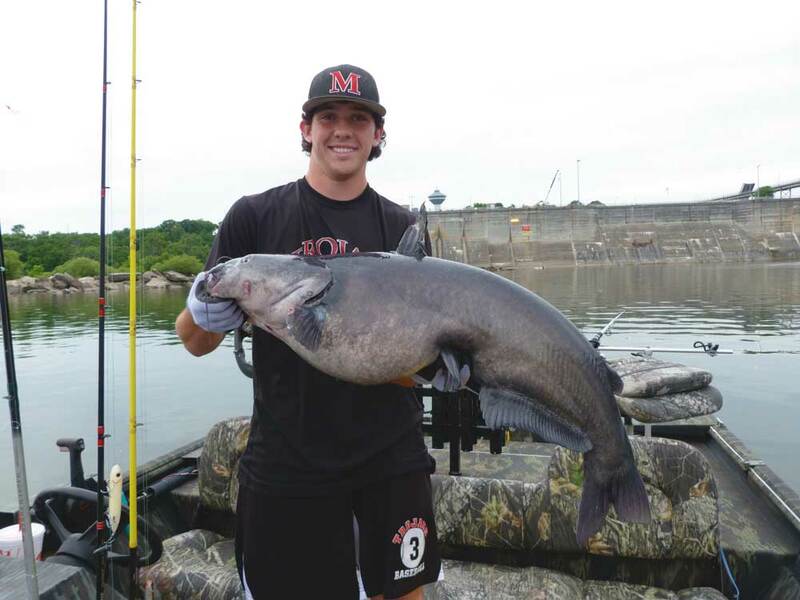 Spring is one of the best times to catch big numbers of eating-size catfish. Trotlines are a very old manner of fishing for catfish. They work very well, but anglers need to be careful when fishing with trotlines. Anytime multiple hook rigs are used, the potential for accidents increases. Heavy weights and heavy fish pulling hard on trotlines can put anglers at considerable risk. 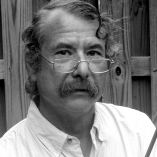 “My trotlines are made from a # 24 twine on the main line and a # 6 or 9 tugging,” he says. “I put 100 # 2 or # 4 hooks on one pound of twine. This will make the trotline about 275 yards long. I put the hooks about six feet apart. That leaves 40 yards of anchor line on the end of the trotline when using jump boxes. He says that one key to successful trotlining is a small hook and smaller bait. “I like cut shad or shrimp. You want something fairly tough that little fish can’t nibble off. Remember, on a trotline, a fish has to hook himself. You can’t ‘set the hook.’ Therefore, a small hook and bait will produce more fish. I run my lines in a W pattern. “That means putting a float on the 25th and 75th hook and a weight to take it to the bottom on the 50th hook. This allows me to cover multiple depths. Most of the time in the spring, whisker catfish will suspend to feed. If all your hooks are on the bottom you might miss the feeding fish. I like to jump my trotlines in the late afternoon and run them the next morning. Whisker catfish are a nocturnal feeder most of the year, so an overnight bite is always best. Captain Brian tells us that jugfishing—or noodle rigs—or whatever other kind of floating rig you want to use can be both very productive and also very entertaining. It’s fun to watch the jugs gently floating down the lake with the breeze or the current, and then suddenly take off as a big whisker catfish takes the baits and tries to leave the scene. Brian adds, “I use # 9 tarred twine with a 20- or 30-pound test mono leader on my jugs. Again, a circle hook is best. I also paint my jugs for better visibility. This really helps when jugging at night. I even add reflective tape to a few jugs I use exclusively for night fishing. Best conditions for jugging would be a cloudy day with light to moderate winds. Strong winds and currents can make trying to keep up with multiple jugs a nightmare. The best places to jugfish would be the same places you would target cats with a rod and reel or trotline, providing there are not a lot of hang-ups. Open water areas free of snags make jugfishing a lot easier. Barton tries to keep his jugs three to five feet off the bottom. His most common jug depth for spring fishing is 15 feet in length, and he tries to position them in about 20 feet of water when he can. When early spring rolls around, most anglers think about bass fishing the early bedding fish, or perhaps hitting the shorelines for spawning crappie, and there’s nothing wrong with this. But it would be a big mistake to forget about the big, strong, aggressive whisker catfish that live in freshwater. Whether rod and reel fishing, trotlining or jugfishing, we have some of the best catfishing waters to be found anywhere, and there’s nothing like collecting an ice chest full of delicious whisker catfish to make a great day outdoors even better.